Miguel del Aguila is one of those composers who feels like a perfect match for the Quintet. Born in Uruguay, Miguel brings the best of many worlds to his music and it is with great pleasure that we are able to bring Miguel to New York to accompany us as we bring back his Quintet No. 2 to audiences in New York and Queens. 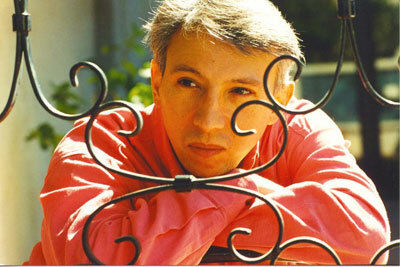 A composer of "turbulent fantasy" (Odessan Press, Ukraine), Miguel del Aguila has been hailed by critics as "a spontaneous creator" (El Pais, Montevideo)"armed with a distinctive compositional voice" (Los Angeles Times)and "a fine sense of direction and drama" (American Record Guide). Reviewers have found his music "unusual...superb" (Fanfare), "of obsessive vitality" (Wiener Zeitung, Vienna), "wonderfully expressive" (American Record Guide), "remarkable, strikingly rhythmic" (Der Landbote, Switzerland), and, no less, "thrilling and ghastly" (Kleine Zeitung, Austria). Conga-Line in Hell for large chamber ensemble (and arranged as Conga for full orchestra) sums up his style: Allan Kozinn remarked in the New York Times that it "sounds, at first, like idiosyncratic pop, and it touches on jazz and salsa before morphing briefly into a slow, lush Viennese dance, then back to speedy jazz." (November 2005). Miguel del Aguila moved to the US from Uruguay in 1978 and received his B.A. from San Francisco Conservatory. He then traveled to Vienna to further his musical studies. After ten years there, during which time he was active as a composer, pianist, conductor and music teacher, he returned in 1992 to live in Southern California. Numerous premieres of his works followed, and in 1994 local critics chose him "resident music man of the year" (Los Angeles Times) and to "cap the list of our top 10 people to watch" (The Star). He was honored with a Kennedy Center Friedheim Award in 1995 and a California Arts Council Artist in Residence Award in 1996. Miguel del Aguila's catalog of over 50 compositions includes opera, orchestra, choral, solo, and chamber works, as well as music for theater and TV.